While there are some similarities between regular kennels and commercial kennels, they also have a lot of differences. The biggest difference is that commercial dog kennel features are different from regular kennels. We're going to look at these features below. You want to make sure the kennel you're using is clean and well taken care of. You'll need to ensure it has running water for fresh drinking water and for spraying down any messes. You could also have a potty area where the dogs can go to the bathroom. Having a specific area will help keep everything contained and cleaner. The next thing you want to ensure is that the dogs are comfortable. For starters, having a rubber mat can help so that the dogs don't slide all around. In addition, you want it to be big enough for the dogs to move around freely and you also want to have a comfortable sleeping area. Stay away from wood and dirt floors since these can keep in bacteria that could harm the animals. You want to make sure the kennel has climate control. This makes it so you can keep the dogs comfortable all year round. You don't want it to be too hot in the summer and too cold in the winter. You also should make sure everything is insulated correctly. There are three main types of commercial kennels. These are boarding, breeding, and hobby. The boarding kennel is one that is used to keep animals overnight. The second kennel is the breeding kennel, which is used for legitimate businesses to show, sport, or sell puppies to the public. 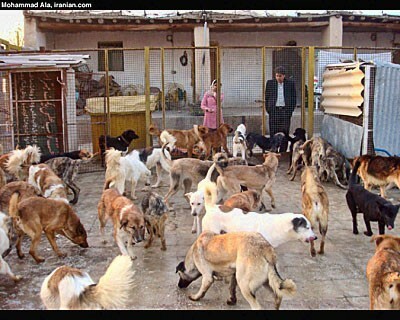 These are NOT the same as puppy mills. 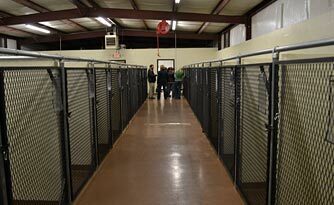 The final type is the hobby kennel, and these are the ones that are personally owned. The dogs kept here are primarily used for show and, sometimes, when pets have puppies. Make sure you decide which kennel is the best type for you or your business. In terms of cleaning and taking care of the dogs, you want to ensure that you can get in there and do what you need to easily. For starters, having a water hose hookup will help you rinse down surfaces quickly. You should also look for a kennel that has a tub or sink. These are helpful with so many things, including: filling water bowls, washing hands, giving baths, and pretty much anything else that can only be done with water. The final thing you want to be sure of is that the kennel is durable. You don't want it to be torn apart easily. You want to make sure the building itself, as well as everything inside, will hold up well to dogs. This includes using stainless steel items and making sure it has a good foundation. As you can see, commercial dog kennels have some pretty awesome features that are great for dogs on a business size. 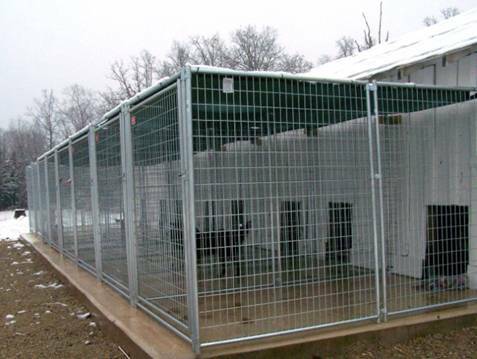 While these kennels could be used for personal use, they do much better in a business setting. If this is something you're interested in, make sure you get more information and see which kennel design is best for you! Annually DuPage County Animal Care and Management and the DuPage County Well being Department keep monitor of the number of positive instances of rabies found in wildlife within the county. After four years of sharing shelter area, HALO Animal Rescue and Maricopa County Animal Care and Control (MCACC) will half ways in 2017. Several veterinarians recommended euthanasia but my associates at New Life Animal Rescue did not hand over on me! All Day Event Closed in Observance of Holiday OC Animal Care will likely be closed on Monday, January sixteenth, in observance of Martin Luther King Day. Volunteer, donate meals and supplies - you may even do enterprise with our many Shelter Sponsors! What also impressed us about Megan is her unwavering ardour and dedication to our animal population. These people usually work for your local humane organization, animal management company, taxpayer-funded animal shelter or police precinct. By way of beneficiant donations, and tens of thousands of volunteer hours, we've got been able to throw the clock out the window - our shelter pets should not have an expiration date. Assist Massive Apple pets by volunteering your time at the ASPCA in Manhattan or Animal Care & Management (AC&C) in one of the city's five boroughs. Producing a weekly television program Pets Without Partners including education on animal care and conduct and featuring pets available for adoption. They are counting on you, and so are we. Please enjoy our 1st Annual Calendar, featuring the pets of the Palm Springs Animal Shelter and the courageous and hardworking First Responders of Palm Springs and Cathedral Metropolis. She was rushed to Oradell Emergency Animal Hospital and recognized with a broken leg. In case you are keen on a certain animal, the very best thing to do is come to the shelter and see if that animal remains to be here and obtainable. 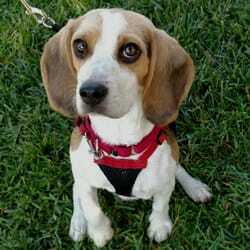 Sustaining a Foster Guardian Program through which shelter animals reside in temporary homes. On December eleventh, Seth and the Aspen Animal Shelter have been invited once once more to take part in the annual Tree Lighting at The Little Nell, a neighborhood occasion. To request animal shelter companies in the Metropolis of Burbank, choose the link under to submit a service request on-line or name 818-238-3340. Toronto Animal Companies accepts animals surrendered (dwelling or deceased) by their house owners. Our employees is within the shelter daily, so go away a message if nobody solutions the telephone. Caring for horses can be very expensive. This is true regardless of whether you consider them companion animals or livestock. From illness to accidents, you need to be financially prepared for unexpected events. Here are four good reasons why purchasing insurance for your horse is a wise investment. 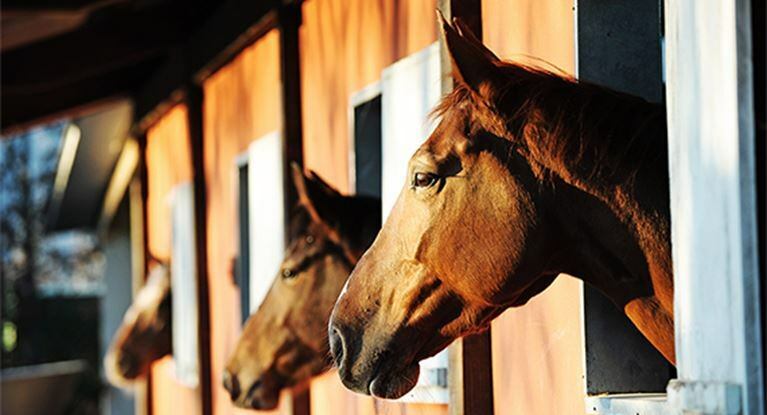 Healthcare for horses cost considerably more than other animals such as dogs and cats. This is mainly due to their size and because they require larger doses of medication for treatment. Even if your pet never requires major surgery, common conditions like arthritis, colic and gastric ulcers may warrant long-term care. In fact, the average cost for routine treatments including vaccinations, worming and dental work may amount to several hundred dollars per year. Medical insurance helps make these procedures more affordable. As a horse owner, you need to take full responsibility for the actions of your animal. This includes any injuries to others while riding or coming into contact with the horse. For people who use a boarding service, this type of policy is a smart idea. It also covers property damage that may occur if the animal is not secured properly. Full mortality equine insurance is basically a life insurance policy for horses. While it's essential for high-caliber racehorses and those used for breeding purposes, many everyday trail horses have this type of coverage too. If a horse dies from an accident, illness or injury covered by the plan, the owner is reimbursed for its full value. Ark Agency is one company that offers a free horse insurance quote on this type of policy. When a horse becomes seriously injured or ill, often it can no longer be used for riding or other activities. In these instances, a loss of use policy provides reimbursement. Under this plan, only permanent conditions are covered. Medical insurance must also be purchased in conjunction with a loss of use policy. Annually DuPage County Animal Care and Control and the DuPage County Health Division preserve observe of the number of positive instances of rabies found in wildlife within the county. January 2, 2017 Cats in Want Yorba Linda Re-released 71 Feral Cats in December!During the Month of December, Cats in Want Yorba Linda re-released 71 feral cats that have been delivered to OC Animal Care to be put into our SNR (Spay-Neuter-Launch) Program. MACC is a full service shelter that helps thousands of pets discover a new house every year. If your want for assistance is pressing, please contact the Burbank Animal Shelter immediately. You have opened my eyes.” — Oprah vowed to only adopt shelter dogs after airing Lisa Ling and Fundamental Line Animal Rescue's undercover investigation on her groundbreaking puppy mill present. I used to be scheduled for euthanasia the day I arrived on the shelter but my New Life Animal Rescue buddies saved me! There will be no boundaries positioned on a pet proprietor who wishes to give up their animal. DuPage County Animal Care & Control staff work together to make sure that our shelter animals are wholesome, completely happy, and sound within the unfamiliar shelter environment till they're adopted. All of this is in addition to our dedication that no animal can be put down except he or she is severely in poor health or injured. If the animal just isn't picked up on the agreed-upon date and time (organized on the time of adoption), custody will revert again to Austin Animal Middle. The highest 10 checklist is predicated on a Purina Pets For Individuals survey of more than 180 animal shelters and rescue groups throughout the United States. Start here to see in case your pet is waiting for you on the shelter, together with tips about find out how to discover your missing animal companion immediately. The City of Bloomington Animal Care and Control has had such great success with its event, The Great Catsby,” that it will likely be extended all through the month of July. We've come a long way in the 4 years since the City of Palm Springs contracted with The Pals of the Palm Springs Animal Shelter to manage day-to-day operations of its new state-of-the-art animal shelter. The new shelter will serve the homeless and lost dogs, cats and different animals of the Town of Riverhead. Sustaining the Pet Adoption Program , each at the Animal Shelter and at off-site places. 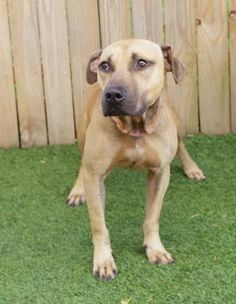 If the animal just isn't picked up on the agreed-upon date and time (organized at the time of adoption), custody will revert again to Austin Animal Center. The top 10 guidelines is based on a Purina Pets For People survey of more than one hundred eighty animal shelters and rescue teams throughout the United States. Begin here to see if your pet is waiting for you on the shelter, together with tips on tips on how to discover your lacking animal companion instantly. The Metropolis of Bloomington Animal Care and Control has had such great success with its occasion, The Great Catsby,” that it will be prolonged throughout the month of July. We have come a good distance within the 4 years because the Metropolis of Palm Springs contracted with The Buddies of the Palm Springs Animal Shelter to manage day-to-day operations of its new state-of-the-art animal shelter. The new shelter will serve the homeless and misplaced dogs, cats and different animals of the Town of Riverhead. The North Fork Animal Welfare League is proud to announce the launch of a capital campaign to renovate the Henry Pfeifer Neighborhood Middle into a brand new state-of-the-artwork animal shelter. Our resale shops feature nice, gently used housewares, high quality garments, furnishings, décor, paintings, jewellery and more - and all proceeds benefit the Santa Fe Animal Shelter and the homeless animals of Northern New Mexico. Animal Control Officers serve Minneapolis from 8 a.m. to 9 p.m. Monday to Friday, and eight a.m. to 3 p.m. on weekends. Seems this little man has a sister they usually've been fostered collectively via a shelter since they were three weeks outdated, bottle fed and cared for by their awesome foster mom.